Vibration Level Switch utilizes tiny tuning fork. Liquiphant FTL 20 uses measuring fork to fit inside pipes as small as 1/2 in. It provides level measurement in all types of liquids, independent of electrical properties, turbulence, material build-up, solids content, suspended particles, gas bubbles, and external vibration. AS-i electronics allow integration to existing bus structures. AC or DC-PNP outputs are available. FTL 20 provides maximum and minimum detection in tanks and dry running pump protection in pipes. November 19, 2002, Greenwood, Indiana - Endress+Hauser announces the new Liquiphant FTL 20, a low-cost point level switch for liquids level measurement. The unique smaller size permits the tiny measuring fork to fit inside pipes as small as ½". Endress+Hauser is the only manufacturer to produce a level switch with a ½" process connection. Process connections are also available in ¾". The FTL 20 is a level measuring solution designed for applications where small size and low price are critical factors. FTL 20 is the newest addition to the Endress+Hauser Liquiphant family of frequency shift tuning forks for reliable point level measurement of liquids. Endress+Hauser is the inventor of vibrating, or tuning fork technology. As the market and technology leader for tuning fork technology, Endress+Hauser has used this technology to make the FTL 20 a level sensor that is more rugged, has a longer, useful life and is free of maintenance or calibration. 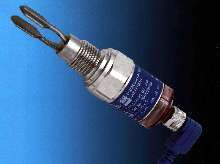 The FTL 20 replaces float switches, capacitance probes, ultrasonic gap switches and conductivity probes. It provides a reliable level measurement in all types of liquids: independent of electrical properties, turbulence, material build-up, solids content, suspended particles, gas bubbles and external vibration. The FTL 20's switchpoint is not affected by liquids of varying density, viscosity, capacitance or conductivity; nor is it affected by foam, wide temperature and pressure shifts. 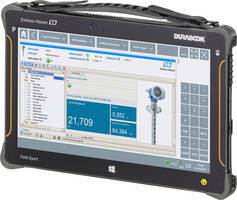 FTL 20 is the first Liquiphant available with AS-i electronics allowing simple integration to existing bus structures. It is also available with AC or DC-PNP outputs. 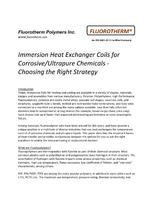 Endress+Hauser has additional Liquiphant solutions for these applications. For more information on the Liquiphant FTL 20 visit the Endress+Hauser website, www.us.endress.com, or contact us toll-free at 888-ENDRESS. Endress+Hauser offers the broadest range of measurement technologies available from any one supplier in the world. Whether for level, pressure, volume or mass flow, density or analysis, Endress+Hauser can provide a single source for measurement solutions designed to suit our customers' application conditions. 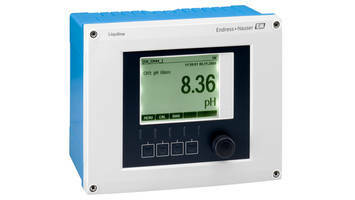 In addition, Endress+Hauser offers a complete line of process recorders and indicators. U.S. facilities are located in Greenwood, Indiana, with international headquarters in Reinach Switzerland. Memosens COS81D Optical Sensor offers measurement accuracy up to ±0.2%. 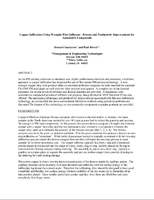 Liquiline CM44 and CM44R Transmitters provide report in PDF format. Xpert SMT70 Tablet PC offers storage up to 256 GB. 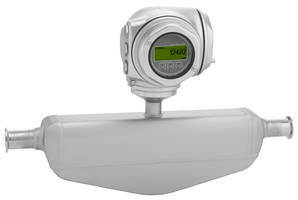 Proline 300 Smart Flowmeters feature 316L stainless-steel housings. Overflow Switch evacuates condensate from AC systems. Pool Pump Receptacle Kit combines power and control. Optical Matrix Switch cross connects up to 192 x 192 fiber ports.